You may have never heard of Doug O’Rourke, but if you’ve ever had the chance to play some of the Midwest’s finest golf courses, chances are you’ve seen his work. For two decades, he’s been one of the golf industry’s top builders. 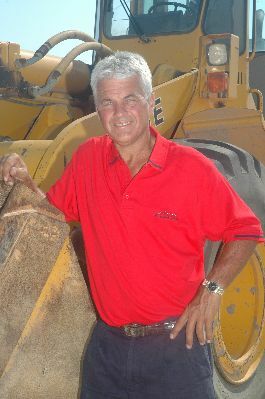 O’Rourke, known as “Dozer Doug,” has completed 22 golf projects in the Midwest, many of which have won national awards. His latest projects include Yarrow Conference & Golf Resort, Grande Golf Club, The Majestic, Timber Trace Golf Club, Island Hills Golf Course and the Treetops Signature, Tradition and Threetops Golf Courses… host of ESPN’s Par 3 Shootout.